In fact, it comes included in the top list of causes of death in almost any part of the world together with cancer and heart ailments. Medically termed as diabetes mellitus, the disease is one of the illnesses that can affect your metabolism. In common terms, you have been taught that diabetes is an imbalance in your body where you have very high levels of blood sugar and relatively low insulin. There are three basic types of diabetes. 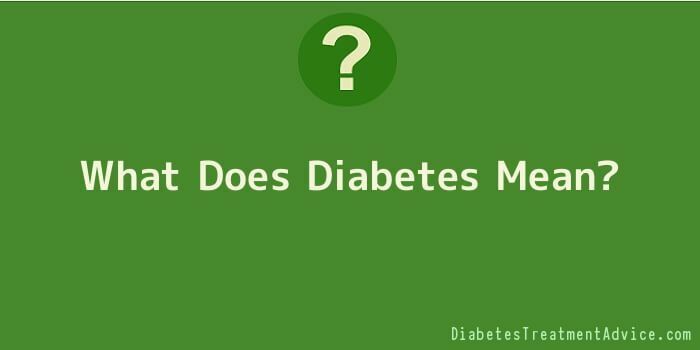 The first is referred to as Type 1 diabetes. This is characterized by your body’s inability to release insulin that would be enough to stabilize the level of blood sugar. The next type is called Type 2 diabetes. In this condition, the body produces insulin but your cells cannot make use of it properly. Finally, the last type is gestational diabetes. This is a condition that commonly affects pregnant women who are more prone to increased levels of blood sugar. Aside from these three main types, diabetes can also come as a congenital disease (you are born with it) or as effects of other defects in terms of insulin secretion, cystic fibrosis and steroid overuse. On the whole, diabetes is a disease that can either be caused by your family’s medical history or defects within your body especially where insulin is produced. You may begin to suspect diabetes if you experience any of the three P’s of the disease: 1) polyuria or frequent need to urinate; 2) polyphagia or increased levels of hunger; and 3) polydipsia or increased levels of thirst. In other cases, you may also experience blurring of your vision, rapid breathing, nausea and abdominal pains. Most people fear diabetes not just because of the actual effects of the disease but also due to its many complications. There are cases in which diabetes has made way for cases of heart diseases, liver and kidney complications, retinal problems and numbness. Due to improvements in the medical field, particularly, in the use of insulin as treatment, diabetes has become a disease that can at least be controlled if not totally cured. But as in most cases, what is important is that you do your best to prevent being affected by the disease so that you would not compromise the state of your lifestyle as well as the other parts of your body.